I shared a zebra striped cake last year, which I thought would be fun for an animal themed birthday party, but this fun pink zebra striped cake Kathryn made is actually going on the list of cake ideas for my Halloween birthday girl. Instead of pink and black I am going to give orange a black a try. 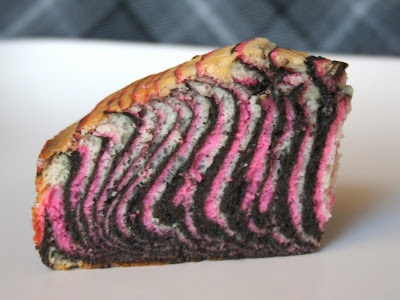 You can check out the tutorial for this fun pink zebra striped cake over at The Sugar Turn Table.